AMANDA JANE NEEDLES ARE BACK ORDERED UNTIL APRIL. Apparently There is a problem shipping them from England?????? 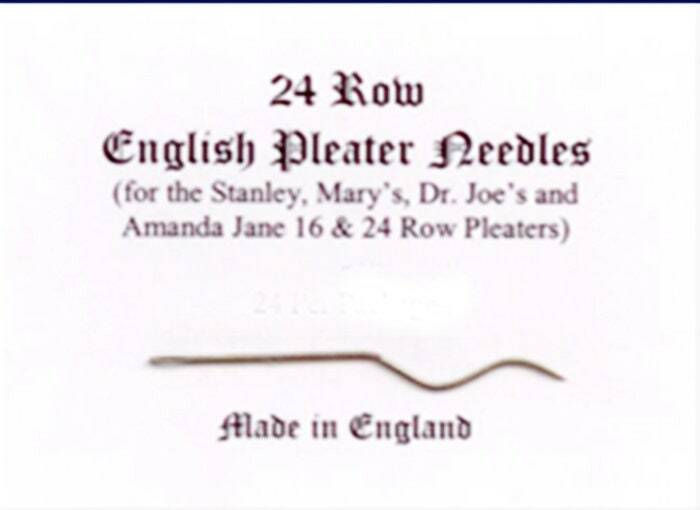 Replacement Needles for Amanda Jane, READ, Stanley, Dr Joe's, Pullen, Newell and Durand Pleaters. 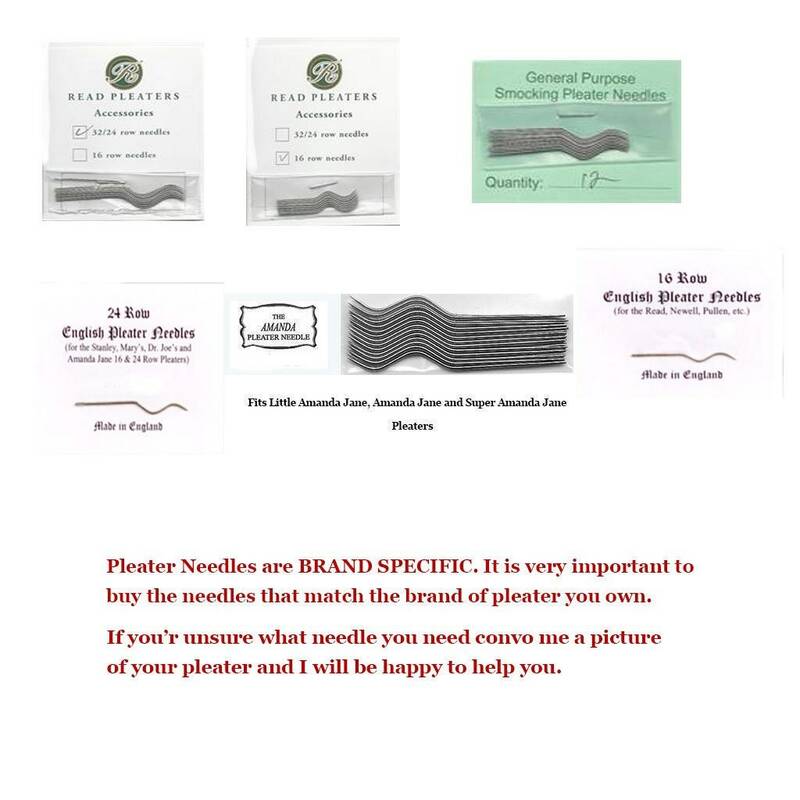 Pleater Needles are BRAND SPECIFIC. It is very important to buy the needles that match the brand of pleater you own. 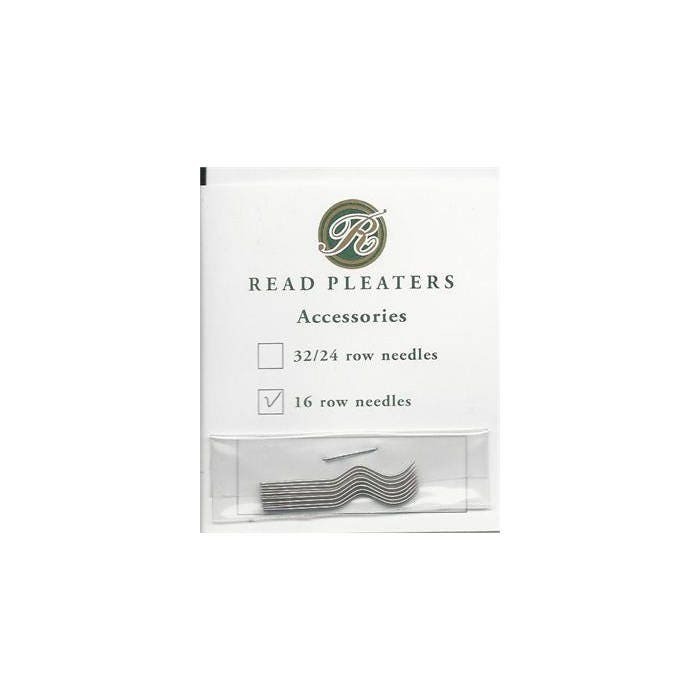 And in the case of the Read, be sure to know how many rows that your pleater has Read 16 row pleater needles will not work on a 24 row Read Pleater and vice versa. 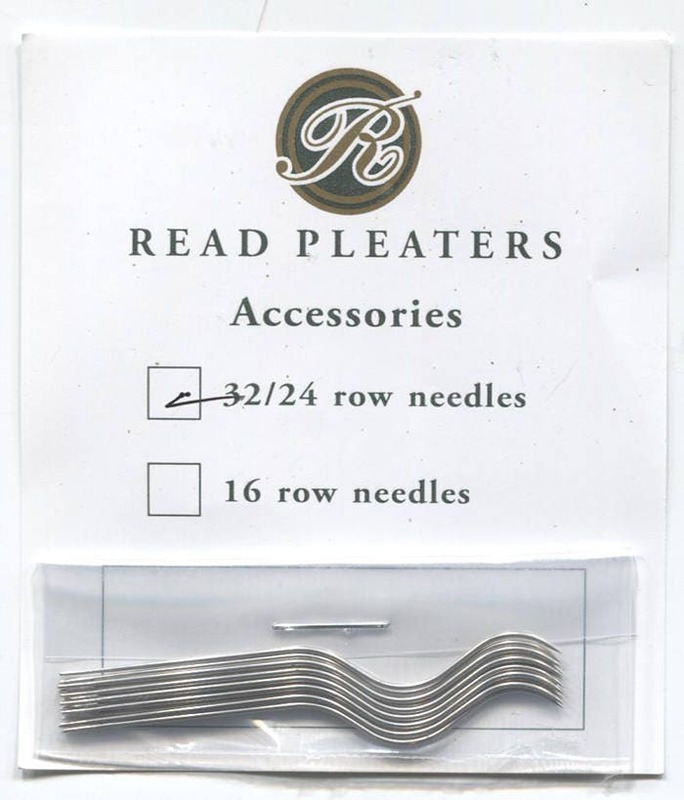 Read 24 row pleaters made before 1985 have different size needles than the current 24 row Read. Needles for that pleater are no longer available. Some companies which made pleaters have gone out of business and their needles are no longer available. 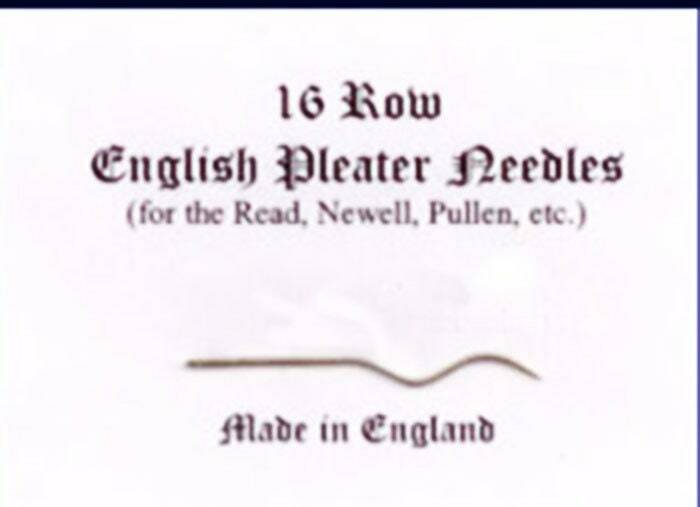 to fill that need Ellen McCarn makes a general purpose 16 and 24 row needle which is very good to use for pleaters for which brand specific needles are no longer available like Durand, Newell, Pullen and Dr Joe's. 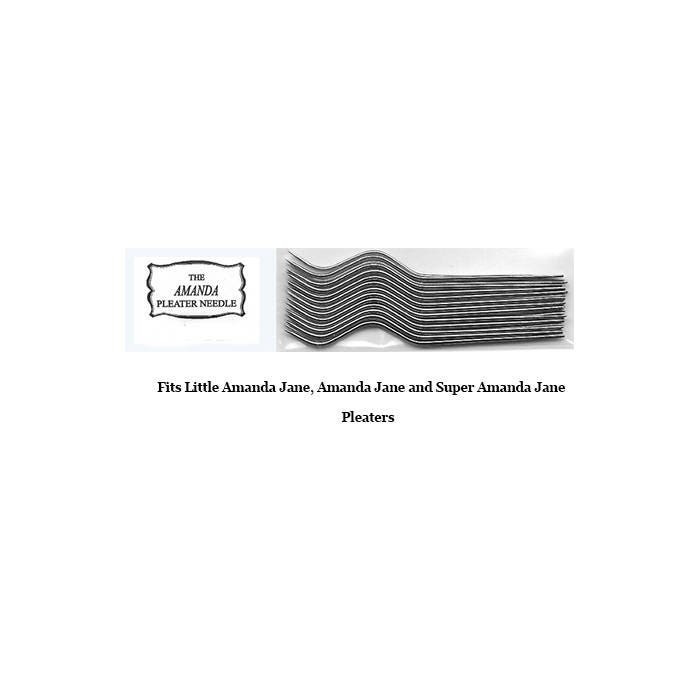 Amanda Jane needles fit all 3 sizes of Amanda Jane pleaters. NOTE: I will not except exchanges or returns for incorrectly ordered needles because once they are out of my hands I can not guarantee that they have not been used and are not bent. 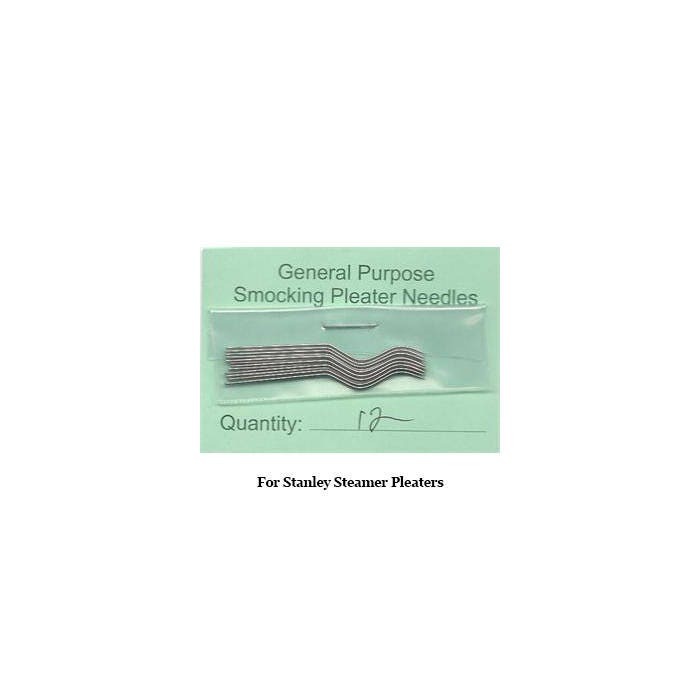 General purpose needles for the Stanley Pleater. Stanley is out of business and genuine Stanley needles are not available. Based on this I have set a flat shipping rate of $3.00 for any amount of needles shipped within the United States. If you are an international customer please request a custom order so I can add the appropriate postage for your country. Thank you so much! It came super fast which allowed me to replace my broken needle and get the project back in the works. Thank you! Great service and prompt shipping!